Buying real estate in Israel - not quite accustomed to foreign investors, because many do not even consider this region, but in fact housing in this country - a very profitable offer. Israel has direct access to three seas - the Red and Mediterranean for a great beach holiday, and the Dead for a healthy atmosphere. Israel can be a great place to live, work and relax. You can earn a substantial profit in the event of resale of your own properties in Israel, as the rise in prices is quite noticeable and stable. The real estate market in the country is stable, even during the crisis did not stop the increase in prices. Israel is perfectly suited for leisure trips and travel. 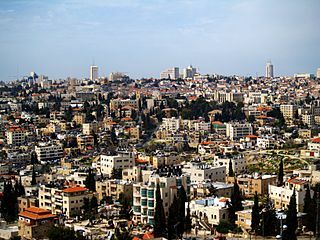 This country has a lot of interesting places to visit, especially in ancient Jerusalem. The locals speak English well and many of them even know Russian. The population of the country has a positive attitude and is quite friendly to foreigners. In addition to the high-quality, real estate in the country does not have the highest prices, so that the acquisition of lodging in Israel - a timely step. The most actual, but expensive real estate of the country is concentrated in the business centers - Tel Aviv, Jerusalem and in the resort Eilat. Tel Aviv - a city of contrasts, which is the cultural, entertainment and shopping center of the country, where life is in full swing, day and night. Residential realty in the metropolis - a steady rental income. The popular resort of Eilat is located in the north of the Red Sea in the southern part of the country - the region is suitable for almost a year-round recreation. The Red Sea differs with its beautiful underwater world and is perfect for diving, and the Dead Sea is just on 150 kilometers away and has unique opportunities for a health improvement. Buying a property in the country largely depends on the form of ownership – if the owner of land is a private individual or the state. This nuance is also affected by the process of registration of the transaction, according to which the buyer of realty has to pay corresponding taxes.